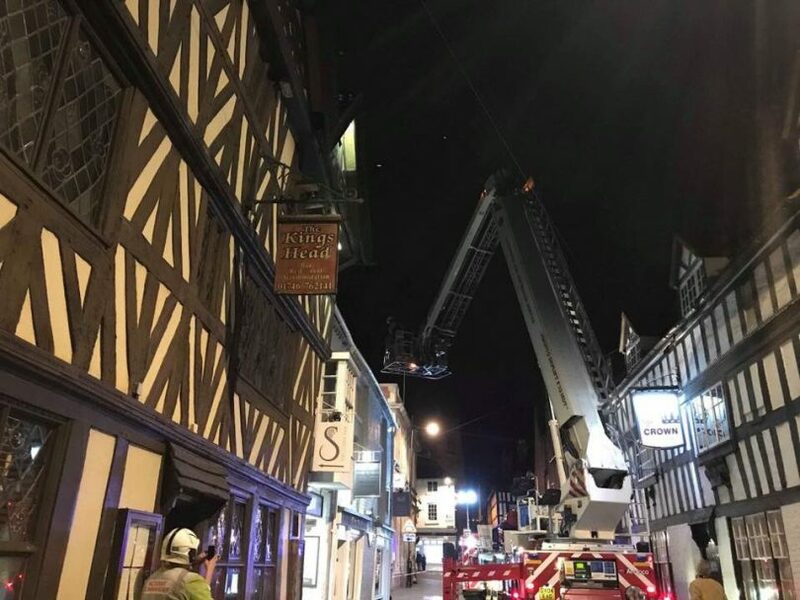 Firefighters were called to a chimney fire at The Kings Head in Bridgnorth yesterday evening. Crews were called to the historic pub in Whitburn Street at just before 6pm. Three fire appliances including the aerial ladder platform were mobilised from Bridgnorth and Shrewsbury. Firefighters used chimney rods, small gear and a thermal imaging camera to deal with the fire. West Mercia Police officer were also at the scene to close the road. Firefighters spent just under two hours at the scene.